Video of flights over top monuments of Vienna in HD format. 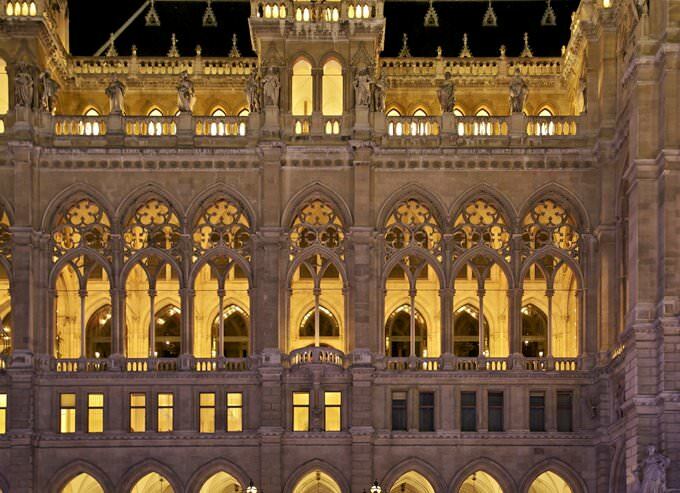 In this article, dedicated to the architecture of Vienna, we will 'fly' over such iconic historical monuments as Rathaus, Hofburg Palace, Karlskirche, and Votive Church. In addition to the virtual flight video, we offer the most important and interesting facts about every landmark, including high-quality photographs. 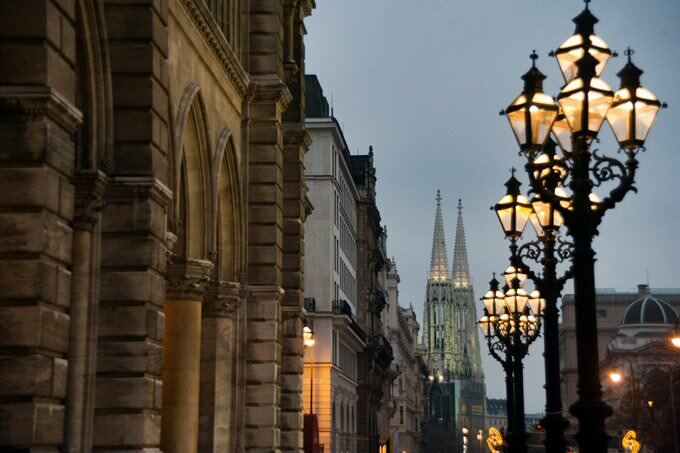 You can also use this article to make your own excursion tour in Vienna. 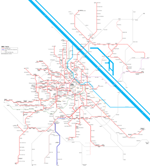 Simply use the icon to locate the object of interest on the map of Vienna. » The Rathaus serves as the seat for both mayor and city council of Vienna. » The town hall made in the Gothic Revival style was built in the late 19th century. » The main hall of the Rathaus is of great interest for tourists, as its length reaches 71 m. This room is decorated with sculptures of famous Viennese. » The hall is often used for exhibitions, concerts and balls. In total, the Rathaus hosts about 800 events per year. » The central tower of the Town Hall reaches 98 meters; it’s surrounded by four 61-meter towers. The central one offers spectacular view of the city. However, in order to get to the observation deck, you need to overcome the 256 steps. » Top of the tower is decorated with the famous steel figure in armor-bearer; that’s the keeper of the town hall, which has become a symbol of Vienna. » Hofburg Palace once was the residence of the most influential people in the European and Austrian history, including representatives of Habsburg Dynasty, which were rulers of the Austro-Hungarian Empire. » Currently, Hofburg is the official residence of the President of Austria. » The palace complex includes emperor’s apartments, the Imperial Chapel, the Imperial Treasury, the Imperial Horse Stables, the Winter Riding Hall and the Austrian National Library. 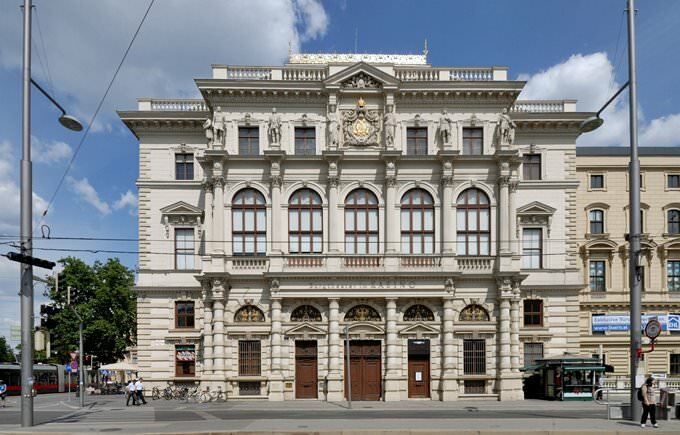 » The Imperial Treasury houses priceless national and historical relics of the Holy Roman and Austro-Hungarian empires. » The Spanish Riding School is open to visitors even these days. At all times, the purpose of the school was to preserve the classical art of riding and educating new masters. » The Winter Riding Hall placed in the walls of the imperial palace is home to fine Lippizaner horses. 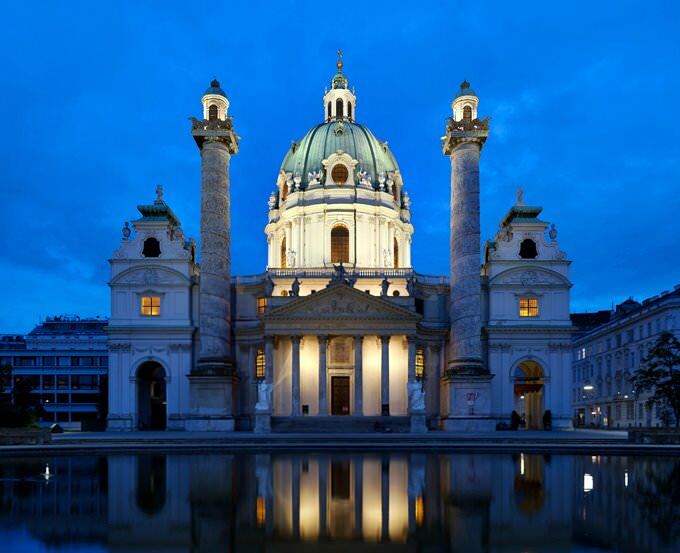 » Karlskirche is the Catholic Church made in style of Viennese Baroque. » This church is considered one of the largest and most prominent buildings in the city. » The building is notable due to a huge dome and two tall columns at the sides. » Its facade is very amazing. There are angels at the entrance to the church, and 4 virtues of repentance, mercy, humility and faith on the front side of the building. » The walls and ceilings of the church are decorated with magnificent frescoes by famous masters. » The Votive Church is the neo-Gothic Roman Catholic church located next to the University of Vienna. » After the assassination attempt on the life of Emperor Franz Joseph in 1853, the brother of the Emperor Maximilian, Archduke Ferdinand, decided to build a church to thank God for saving the life of the emperor. » The height of the church is 99 meters, and thus it’s the second highest among Viennese churches. » One of the most interesting relics is the carved wooden altarpiece from Antwerp dating back to the 15th century. » The church has the Renaissance tombstone of Count Nicholas Salm, who defended Vienna during the Turkish invasion of 1529. 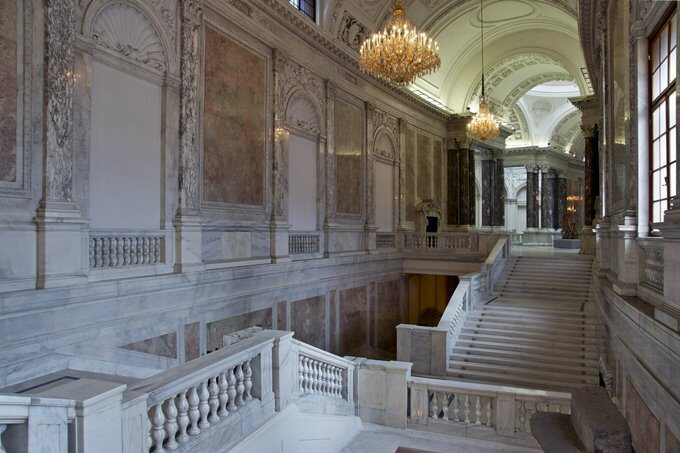 » The house of the Austrian Parliament dates back to 1918; National Federal Council of the Austrian Parliament also sits there. » Various important state ceremonies, such as the ceremony of taking the oath by the President of Austria, and the official speech at the annual National Day on October 26th, take place there. » The Parliament House covers an area of more than 13,500 square meters and has more than 100 rooms, including meeting rooms, sports rooms, lounges, bars, and library. » The most famous landmark of the building is the sculpture of Pallas Athena with a fountain located at the main entrance. » The Austrian Parliament is open for tourists. 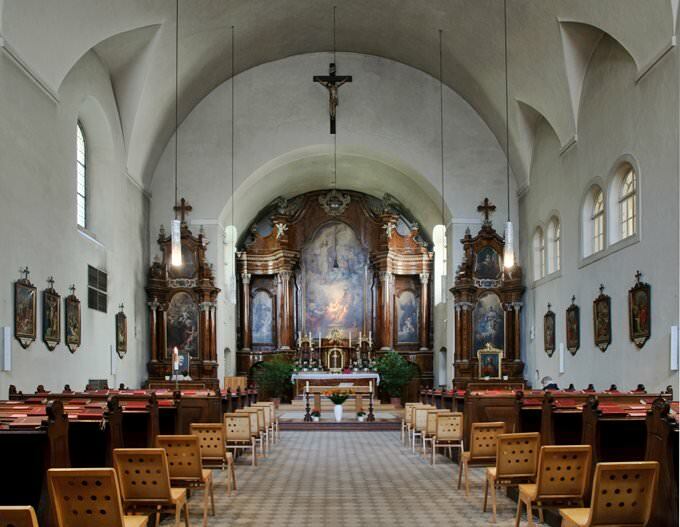 » Kapuzinerkirhe is the church and monastery of the Capuchin Order in Vienna. » The Capuchin Church is famous for its Imperial Crypt that is the resting place of Habsburg emperors and members of their families. » Twelve emperors, nineteen empresses and many other members of Habsburgs (137 people) are buried in the crypt. » Last burial in the tomb was in 2011, when the last crown prince of Habsburg, Otto von Habsburg, lost his life. » Burgtheater is the National Theatre in Vienna and one of the most prestigious theaters in the German-speaking world. » Premiers of Mozart’s operas, The Abduction from the Seraglio, The Marriage of Figaro and Cosi took place there. » The theater scene is almost 700 m2. 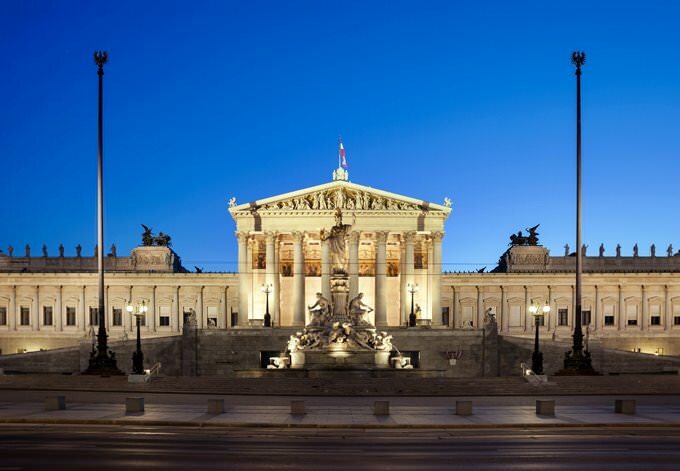 » Burgtheater troupe consists of more than 100 actors and is one of the biggest in Europe. » The majestic facade of the theater made it one of the most popular tourist attractions in Vienna. This guide to architecture monuments in Vienna is protected by the copyright law. You can re-publish this content with mandatory attribution: direct and active hyperlink to www.orangesmile.com.